Home / About / News / A Must See Tech Talk at INDABA! A Must See Tech Talk at INDABA! Sam Mensah, Founder and CEO of KISUA applies lessons from using digital technology to build a global African fashion business to small businesses in the tourism sector. KISUA is a unique fashion brand offering exclusive African-inspired womenswear. Launched by CEO Sam Mensah Jr in 2013 with Ozwald Boateng as Advisory Board Chairman, KISUA (meaning ‘well-dressed person’ in Coastal Swahili) works with African designers to create unique capsule collections alongside its in-house line and global collaborations. Inspired by the sights, sounds and tastes of Africa, KISUA blends traditional techniques and materials with a contemporary design aesthetic to create exquisite, top quality African fashion pieces for the modern woman. South Africa proves to the world that responsible tourism does work18 April 2019There were over 1.4 billion tourist arrivals in the world in 2018, with that number expected to rise as travel accessibility continues to open up. Investing in tech can ensure survival18 April 2019When Tourvest first exhibited at Africa's Travel Indaba in 1988, there were just 27 exhibitors and 40 buyers. Africa's Travel Indaba teams up with local street art talent in Durban!17 April 2019From the hieroglyphics in Egypt to the cave paintings in Maropeng, art has always been a vehicle for documenting history and telling our stories. Africans have the power to rehaul Africa’s story4 April 2019In a bid to boost tourism in Africa, it is time that we change our narrative from a continent that needs saving to one that is thriving. Green stand awards come to Africa's Travel Indaba15 February 2019For the first time Africa's Travel Indaba will introduce the Green Stand Awards to recognise exhibitors who go that extra "green" mile to build and design stands that are environmentally and socially sustainable. 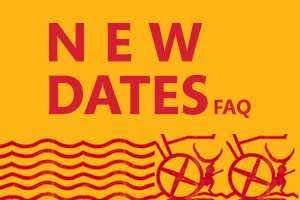 Africa's Travel Indaba Postponement FAQs15 February 2019On 7th February, President Cyril Ramaphosa, announced in his state of the nation address that the national election will take place on 08 May 2019. This would have coincided with Indaba. 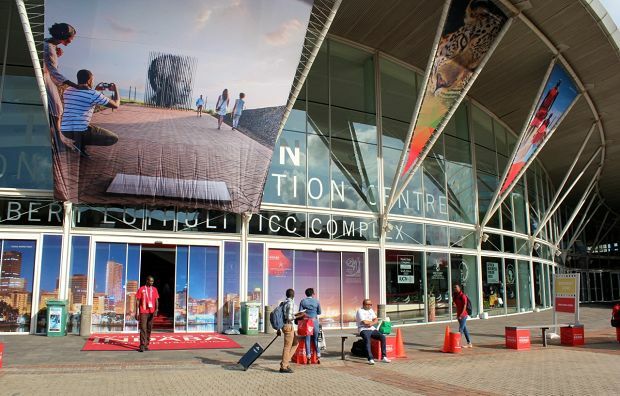 The 2019 Africa's Travel Indaba will take place from 02-04 May 2019 at the Inkosi Albert Luthuli International Convention Centre in Durban13 February 2019This means that Indaba has been brought forward by four days. 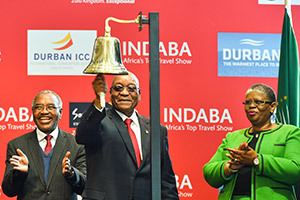 South African Tourism will reschedule this year's Africa's Travel Indaba7 February 2019This follows this evening's State of the Nation address by President Cyril Ramaphosa, who confirmed that 08 May 2019 will be the date for the national elections. It's time…exhibitor registration open for next year's Africa's Travel Indaba27 July 2018Exhibitor registrations for the African continent's largest tourism trade show, Africa's Travel Indaba, are open for 2019 and now is a good time to get ahead and secure your spot. Responsible tourism enabling the new normal14 May 2018Responsible tourism is a growing trend. People enjoy traveling and want to leave the area they visit in a better position along with being respectful to the people and the environment. Thumbs Up for Africa’s Travel Indaba 14 May 2018The significance of tourism to Africa and its economy was once again cemented at this year’s Africa’s Travel Indaba with delegates from 80 countries in attendance. Africa: open for business, offering a world of opportunity9 May 2018Tourism growth, and sharing the benefits of tourism, contribute to replacing poverty and despair with prosperity and hope. Welcome address by Tourism Minister Derek Hanekom at Africa’s Travel Indaba8 May 2018“I am so honoured to welcome you to Africa’s Travel Indaba. Africa is indeed open for business, and offers a world of opportunity,” said the National Minister of Tourism, Derek Hanekom, at the opening of Africa’s Travel Indaba 2018. 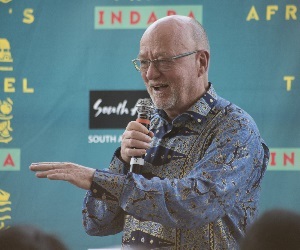 “This is going to be the greatest Indaba!”8 May 2018“This is going to be the greatest Indaba of all time, and it is all because of you,” said the National Minister of Tourism, Derek Hanekom, at the opening of Africa’s Travel Indaba 2018. 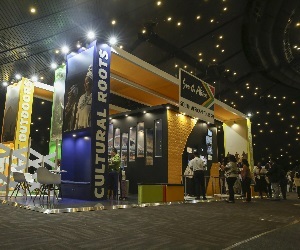 South African Tourism stands out at Africa's Travel Indaba8 May 2018The South African Tourism stand is certainly catching the eye of delegates at Africa’s Travel Indaba with it’s unique and engaging design. African ministers meet to discuss integrated regional tourism7 May 2018Tourism Ministers from several African Countries have called for greater regional cooperation to ensure growth in tourism across the continent. 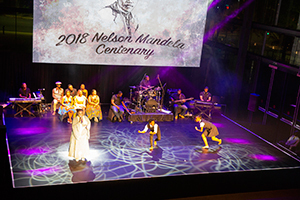 Africa’s Travel Indaba gets a taste of Madiba Magic7 May 2018In celebration of African art, song and memory, renowned South African playwright and artistic director of the Market Theatre, James Ngcobo, has produced a stellar showcase of the life and legacy of Nelson Mandela in celebration of the former statesman’s 100th birthday. 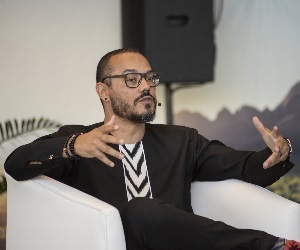 Telling our own stories7 May 2018This year's Africa’s Travel Indaba BONDay sessions highlighted that while Africa needs to tell stories about itself, these must not be the stereotypical view of the continent. 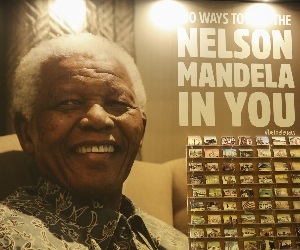 South African Tourism North America celebrates Mandela Centenary Celebrations at Africa's Travel Indaba with 1003 May 2018One hundred travel agents, media and trade partners will travel from North America to be a part of Africa's Travel Indaba which kicks off in Durban, next week. Africa's Travel Indaba 2018 to kick off with BONDay30 April 2018With just over a week to go before Africa's Travel Indaba 2018 gets underway, an exciting line-up of speakers and topics have been arranged for the Business Opportunity Networking Day, commonly known as BONDay. Grow your business at Africa’s Travel Indaba11 April 2018With products from 21 countries and a bigger selection of small business products; plus we’ll be celebrating small travel businesses, you will find a plethora of stories to tell at this year's Africa Travel Indaba. Find new stories at Africa's Travel Indaba11 April 2018Africa is a continent of stories and the Africa Travel Indaba is the perfect platform for you to hear and then share these stories to the world. Countdown to Africa’s Travel Indaba: All you need to know11 April 2018Only 4 weeks till the world's biggest African travel trade show, Africa's Travel Indaba. New Exhibition Company appointed to manage South African Tourism’s key strategic events - Meetings Africa and Africa’s Travel Indaba23 November 2017Synergy Business Events (Pty) Ltd has, following an official tender process in compliance with Public Finance Management Act and National Treasury regulations, been appointed by South African Tourism to service both Meetings Africa and Africa’s Travel Indaba for the next three years. Africa's Travel INDABA 2017 hailed as a 'Resounding Success'18 May 2017DURBAN, SOUTH AFRICA – Thursday 18 May: Africa’s Travel Indaba 2017 has been deemed an outstanding success as the show saw high-quality buyers from across the world meeting high-quality exhibitors from across the African continent, showcasing a variety of tourism products and services. Tourism Minister meets with Industry Leaders17 May 2017INDABA – Minister Tokozile Xasa today met and engaged with industry leaders at a breakfast event held at Southern Sun Elangeni in Durban. 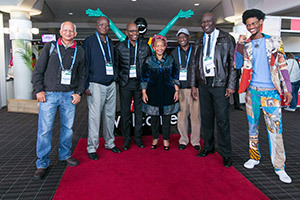 South Africans reminded to “Do Tourism”16 May 2017South African Tourism has used INDABA as a platform to launch I Do Tourism (IDT) – an initiative that seeks to remind South Africans of the importance of the tourism industry and the role they can play as advocates for South Africa and for tourism. President's speech at INDABA opening16 May 2017On behalf of the people of South Africa, and our country’s tourism sector, it is a great privilege to welcome you to Africa’s Travel Indaba 2017. It is a wonderful way to celebrate Africa Month, by hosting all of you as we showcase the beauty of our country and of the African continent. Ministers meet on Advancing Small Business Development in Tourism16 May 2017AFRICA’S TRAVEL INDABA - “Tourism is overarching and cuts across many sectors. We need to work together with various government departments, as enablers and influencers of tourism destination competitiveness, to grow and transform our sector and economy,” said Minister Xasa. Tourism KwaZulu-Natal wins bid to host Africa’s Travel INDABA until 202216 May 2017South African Tourism board has selected Tourism KwaZulu-Natal as the successful bidder to host the newly rebranded Africa’s Travel INDABA for the next five years following a comprehensive bidding process which started with an expression of interest to all provinces. Good Times in a Box set to boost Domestic Tourism16 May 2017South African Tourism is set to launch a revolutionary, world-first product – called Good Times in a Box – to stimulate domestic tourism. Good Times in a Box will soon be available online. INDABA kicks off with Conversations, speed marketing and a galaxy of stellar exhibits15 May 2017INDABA 2017 is set to begin with a bang on Tuesday, 16 May, with thousands of exhibitors, travel buyers, visitors and media from all over the world expected to converge on the Inkosi Albert Luthuli International Convention Centre in Durban to experience the dynamic African travel industry in all its diverse glory. 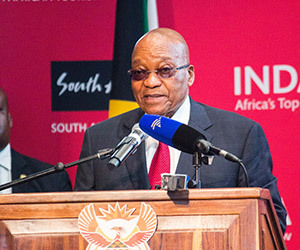 President Jacob Zuma to open INDABA 201713 May 2017South African Tourism, led by the President, His Excellency Mr. Jacob Zuma will officially open INDABA at the Chief Albert Luthuli International Convention Centre in Durban on 16 May 2017. INDABA introduces Business Networking Day for Exhibitors12 May 2017In response to exhibitor feedback, INDABA this year will have a day dedicated exclusively to exhibitors. The Business Opportunity Networking Day (BONDay) will take place on Monday, 15 May, at the Inkosi Albert Luthuli Convention Centre in Durban, ahead of INDABA’s public show days from 16 to 18 May. Ninety ‘Hidden Gems’ chosen to dazzle at INDABA3 May 2017A total of 90 small businesses or "Hidden Gems" from around South Africa have been selected to receive expert coaching ahead of their sponsored debut at INDABA in Durban in May, courtesy of the National SME Market Access project. INDABA countdown kicks off: 40 days until Africa’s biggest travel show opens5 April 2017As the 40-day countdown to INDABA 2017 begins, South African Tourism is putting the final touches on an event that will foster closer collaboration and targeted business interactions than ever before. This will result in a more productive trade show for buyers, exhibitors and media alike. 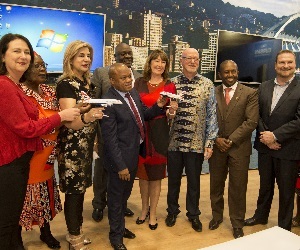 African travel poised for take-off, says SA Tourism CEO at INDABA 2017 launch3 April 2017Johannesburg, 28 March 2017: INDABA 2017 will see more than 7 000 delegates from around the world meeting in Durban to grow the African tourism economy through constructive conversations, dynamic partnerships and a strong focus on doing business, South African Tourism chief executive Sisa Ntshona said at the Killarney Country Club today. SA Tourism hits the road to brief current and would-be INDABA 2017 exhibitors3 April 2017To help new, confirmed and potential exhibitors prepare for this year’s INDABA, South African Tourism will host a series of briefing sessions around the country between 4 and 20 April 2017. Media registrations open for INDABA 201726 January 2017Members of the media can now apply online for accreditation to INDABA 2017, taking place from Tuesday 16th to Thursday 18 May 2017 at the ICC in Durban, South Africa. 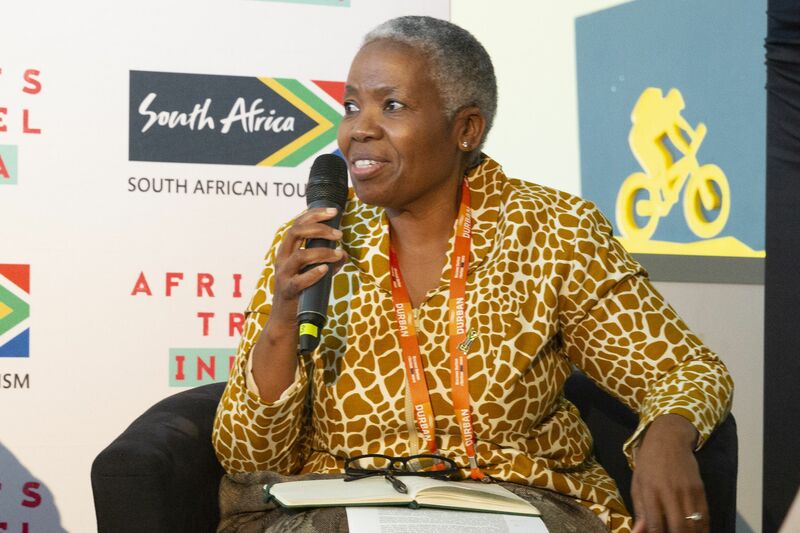 Speech by the Deputy Minister of Tourism, Tokozile Xasa, at the Hidden Gems Networking Session INDABA 20169 May 2016Ladies and gentlemen, it is my great pleasure to welcome you to the 37th edition of INDABA, Africa’s biggest travel show hosted by the beautiful City of Durban. As always, eThekwini is such a welcoming city- known not only for its breath taking sea views but its warm people as well. Hidden gems - the future of tourism9 May 2016Another first at this year’s INDABA, the Hidden Gems Zone, is built to showcase products and services from South African Small, Medium and Micro-sized Enterprises (SMMEs). A wave of African tourism8 May 2016South Africa is intrinsically linked to the continent and if tourism succeeds then the continent succeeds. 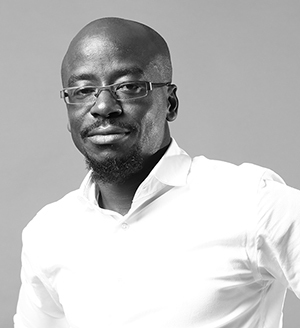 A Must See Tech Talk at INDABA!7 May 2016Sam Mensah, Founder and CEO of KISUA applies lessons from using digital technology to build a global African fashion business to small businesses in the tourism sector. 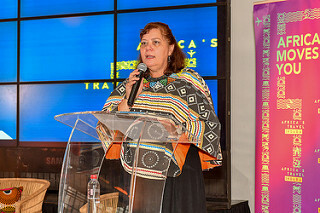 Tourism INDABA key to Africa’s growth7 May 2016Tourism INDABA is an important opportunity for stakeholders in the sector to meet and discuss opportunities and common challenges at a policy level and it all kicked off at the INDABA Trade Floor opening, which took place on 7 May, Saturday at 9h20 in the auditorium of the Inkosi Albert Luthuli Convention Centre (Durban ICC). Rise africa rise7 May 2016If tourism is a sector of progress for the people of Africa, then the tourism INDABA is its embodiment. A warm welcome to all INDABA 2016 delegates - Africa’s Top Travel Trade show6 May 2016Over the next three days Tourism INDABA, owned and hosted in conjunction with Tourism KwaZulu-Natal and Durban Tourism, will once again cement its position as Africa’s top travel show. SMME focus at this year’s INDABA4 May 2016Tourism INDABA will put a firm focus on and have a special showcase of the sector’s Small, Medium and Micro Enterprises (SMMEs) this year. 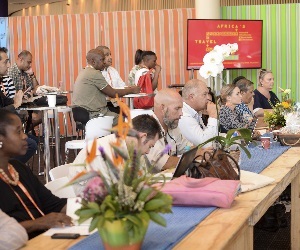 Tourism INDABA Speed marketing sessions give exhibitors an opportunity to showcase and shine!26 April 2016South African Tourism, the owner and host of Tourism INDABA, is serious about giving South African tourism products and services lucrative platforms and opportunities to grow their businesses. Download the INDABA 2016 App today22 April 2016If you are gearing up for Africa’s biggest travel trade show from 7-9 May, get the most out of your INDABA 2016 experience by tapping into the official INDABA App. INDABA 2016: Over 900 meetings scheduled for Africa’s Top Travel Show6 April 2016With just 30 days to INDABA 2016, over 9 000 meetings have already been scheduled and 3 000 meetings have been confirmed. This is up by 1 000 when compared to just over 2 000 last year, which equates to 5.3 meetings scheduled per participant; also up from last year’s 3.2. 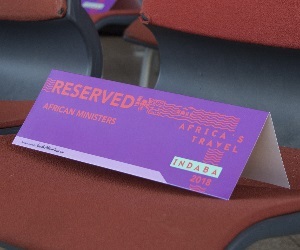 INDABA to deliver a spirited and business focused programme for exhibitors14 March 2016Owners of tourism businesses looking to use this year's Tourism INDABA to grow their enterprises should prepare to be blown away , as this year's offering includes more quality networking opportunities, more industry experts behind the microphone, and a renewed focus and perspective on creating future growth through tourism. 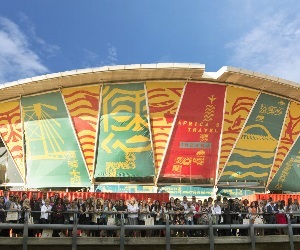 Make your way to INDABA 2016 – Africa’s top travel trade show26 February 2016The annual travel and tourism INDABA that takes place in Durban each year is Africa’s premier business platform for tourism exhibitors from the continent, and top-rated tourism buyers from all over the world looking to do business. 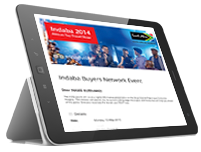 INDABA 2016: pre and post tours a valuable marketing platform for provinces26 February 2016TOP global buyers are preparing to visit South Africa in a few months’ time to attend the annual INDABA taking place in Durban. 100 Days to go before Africa’s Top Travel Show27 January 2016In exactly one hundred days’ time, South Africa and the coastal city of Durban will play host to Africa’s biggest gathering of tourism exhibitors, buyers and industry stakeholders, for the annual INDABA travel and trade show. INDABA 2016: Registrations for online diary and match making system will open on 27 January, 201622 January 2016Get ready to secure your meeting with buyers. INDABA 2016 represents Africa’s tourism premium shopping ground for buyers looking for superior tourism products8 January 2016A well-considered and stringent selection benchmark for buyer participation at INDABA ensures the renowned trade show attracts only the best global buyers. Exhibitor Newsflash7 January 2016More than 140 exhibitors have registered for INDABA 2016. © 2018 - 2019 South African Tourism. All rights reserved.